To the Editor: Nagel et al. raise a number of questions regarding the analyses in our paper ; these analyses, in their opinion, led to confounded measures of association. We agree that potential confounding plays an essential role and can never be completely ruled out in analyses of observational data. However, we do not agree that the possibility of confounding inevitably leads to the conclusion that such results are definitely wrong and cannot reflect real risks. The main concern of Nagel et al. is their assumption of an unequal distribution of patients with type 1 and type 2 diabetes in the insulin glargine (A21Gly,B31Arg,B32Arg human insulin) and human insulin groups. They seem to have overlooked the sensitivity analysis reported in our article that included only patients with a history of prescription of oral glucose-lowering agents (Table 4 in ). There is a very high probability that this subgroup of patients consists solely of patients with type 2 diabetes. In this subgroup the main results were essentially unaltered. This fact rules out the suspicion that our results are caused by the presence of a higher percentage of type 1 diabetic patients in the human insulin group. Nagel et al. further hypothesise that bias is introduced by ignoring intrinsic insulin production in patients in the insulin glargine group. However, in patients receiving high doses of insulin, intrinsic insulin production becomes negligible; hence, such a bias would be expected to be greatest in patients receiving relatively small doses of insulin. Our data are contrary to this anticipated result in that they show that the most pronounced difference in the risk of malignant neoplasms between insulin glargine and human insulin occurs for high doses. Additionally, the adjustment made for treatment dose is criticised. We found that the risk of cancer diagnosis increased with the dose of insulin. As the dose of insulin is essential for its biological effect, it must be taken into account in every analysis. Inclusion of the individual insulin dose as a covariate was pre-specified in the study protocol. The rationale for the analysis of exposure to a single type of insulin per group was described in the article. Nagel et al. correctly state that a notable percentage of patients were not included because the date of study inclusion and the date of their first event was identical. This is explained by the fact that, in this context, censoring because of study end was also counted as an event. Additionally, the data had some fuzziness inasmuch as study entry and study end dates were given to the month rather than to the day. Various factors may have contributed to the shorter observation period in the high-dose insulin glargine group. First, owing to its later introduction to the German market, the study entry date of patients treated with insulin glargine was later. This was particularly the case for patients receiving higher doses of insulin glargine. Second, as shown in Table 5 of our paper , the crude incidence rate was highest in the high-dose insulin glargine group, and mean follow-up time decreases as the number of events increases. With respect to the estimated prevalence of insulin-treated patients, we would like to point out that, as stated in the article, the analysed database is the result of a selection process. For example, only patients with continuous membership to the Allgemeine Ortskrankenkasse (AOK; local healthcare fund) were included to ensure complete observation. Furthermore, data were not available for all federal states for the whole observation period. Therefore, the database cannot be used to make precise inferences about diabetes prevalence. Nevertheless, in 1998 the prevalence of insulin-treated diabetes mellitus has been estimated to be 1.1% for men and 1.4% for women (aged 18 to 79 years) in Germany . These proportions correspond well with the proportions mentioned by Nagel et al. for our study. Nagel et al. are startled by the fact that we used diagnoses made after 2001, which they consider impossible because diagnoses were reported to insurance companies only after 2004. They probably assumed that outpatient diagnoses were used. However, hospital claims billed to the AOK, i.e. inpatient diagnoses, were used for our data analyses. As described in the paper, the cumulative dose for each patient was available, which was then divided by the observation time to calculate a mean daily dose. Patients with implausibly high daily doses (>1,000 IU) were excluded. This cut-off point was chosen in order to exclude impossible doses. However, there were very few patients with extremely high doses, e.g. only 0.05% of the analysed patients had a mean daily dose above 500 IU. We agree that in the analysis of time-to-event data competing risks are a potential problem. We analysed the cause-specific hazard for malignant neoplasms censoring for mortality, which is a suitable approach if the aim of the analysis is the comparison of hazards, especially if the event is rare [4, 5]. In general, with data of the given size and complexity one could conduct a multitude of additional analyses, all of which may be criticised in one way or another [6, 7]. We think that we performed a very comprehensive and transparent analysis of data including careful model building and extensive sensitivity analyses. Dr Simon  hypothesises that the lower mean insulin dose in the entire insulin glargine group reflects less strict treatment goals. This implies that, in general, insulin glargine is prescribed to patients for whom lower treatment goals are aspired. There are no data supporting this hypothesis. Simon  further argues that the most probable explanation for lower treatment goals is that these patients have a shorter life expectancy. However, our data indicate the opposite: patients receiving low doses of insulin glargine had a higher life expectancy than those receiving low doses of human insulin, as demonstrated by lower mortality rates. The most plausible explanations for the lower doses of insulin glargine compared with human insulin in our study are (1) the exclusion of insulin combination therapies in the insulin glargine group, and (2) the way insulin glargine has been promoted in Germany, i.e. the addition of small doses of insulin glargine to oral antihyperglycaemic therapy early in the course of the disease. The hypothesis that the observed increased cancer risk ratio is explained by some confounding by indication can of course never be completely ruled out in a non-randomised trial such as ours. Could the doctors have prescribed insulin glargine more often than human insulin to patients with a higher risk of cancer? As mitogenic effects of insulin glargine have repeatedly been discussed [9, 10, 11] and a German national diabetes guideline in 2003 explicitly mentioned a potentially increased mitogenic effect of insulin analogues , we would rather assume the opposite. 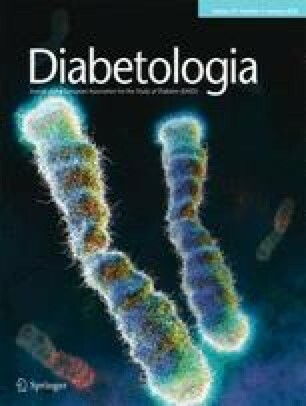 Despite major experimental concerns, the safety of insulin glargine has not been demonstrated within the last 10 years. In our view, the statement of Nagel et al. that our findings ‘cannot describe real risks’ is wrong and not substantiated by any valid argument. Studies like ours are increasingly recognised as being of great value in terms of the investigation of the potential harms of medical treatments in real-life settings . Furthermore, we cannot follow Simon’s  argument that patients and their doctors would have been better left uninformed about the potential harms of this therapy. Contrary to Simon , we think that a randomised controlled trial has been, and still is, theoretically possible, if patients at risk of cancer would give their informed consent to be randomly allocated to insulin glargine or human insulin. Verification of the increased risk of malignant neoplasms by a randomised controlled trial would require about 7,500 patients according to a crude sample size estimation based on the findings of our study (risk for malignant neoplasms 5% over 20 months, relative risk 1.3, 80% power). Unlike Simon , we do not think that conducting a non-randomised trial in an unresolved field is unethical. Instead, we feel that, given the alarming results of cell experiments, it is unethical not to perform a randomised controlled trial before insulin glargine is prescribed to millions of patients.